This is the same workout as last Friday but inside today. Power wasn't;t as high as last Friday but still above the prescribed zones. 300+ on the 3 minutes, 360-400 on the 1 minute efforts. 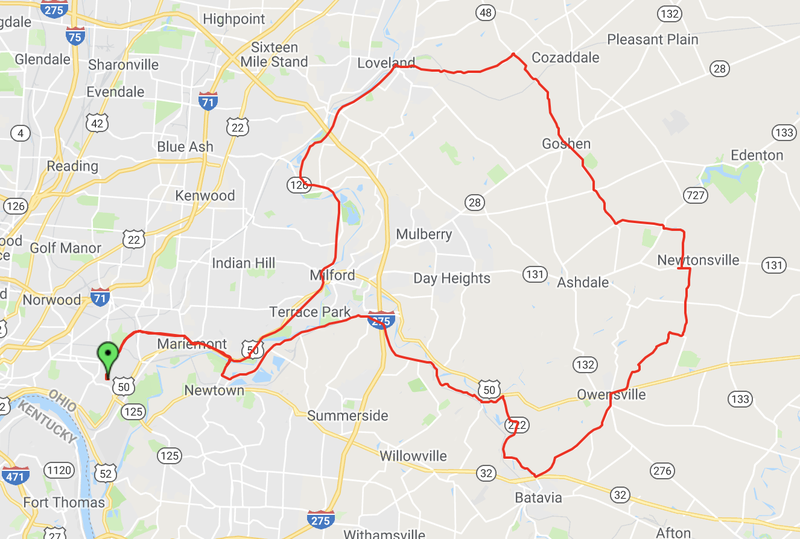 Nothing too crazy today with just a nice 3 hour ride through some southern Ohio farmland and some time on the Little Miami Trail. 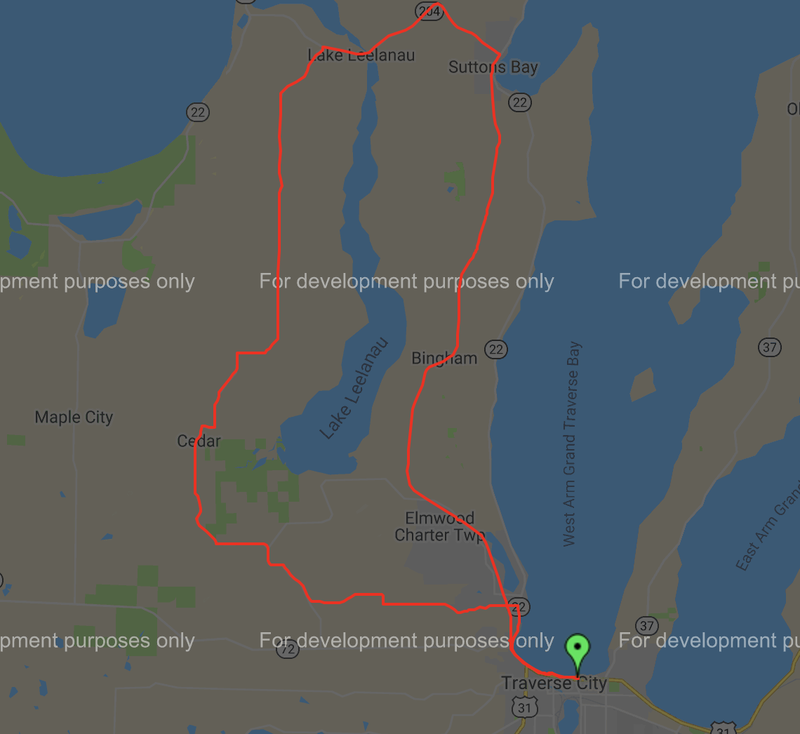 I used the local crit course (1k loop) for this so I did one lap at the moderate pace (2 minutes), one minute all out and then a little less than a minute back to the start. I also did 7 consecutive efforts. Overall power was above the target. The 2-1-1 were 319-422-50, 330-431-65, 327-441-29, 322-450-38, 315-446-14, 327-450-41, and 320-427-71. The last minute on each was downhill so very low power. The 2 minute was up/down, the 1 was almost all up. This works well for this course. 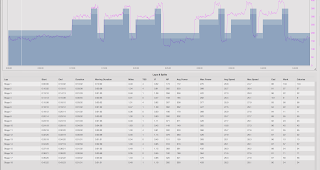 NP for the time in the intervals was 349 for about 26 minutes. Have to say that I never stretch but I do make sure that all of my strength training is in a full range of motions and plenty of out of the ordinary angles of movement. 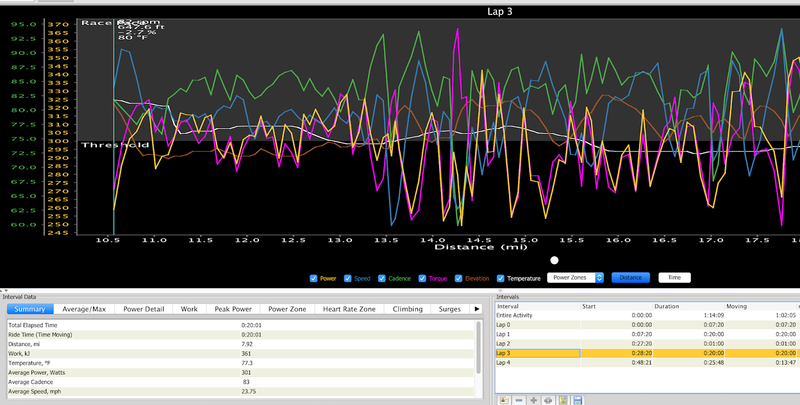 Dats from todays tow classes, spin then strength, 55 minutes each with a small commute on each end. 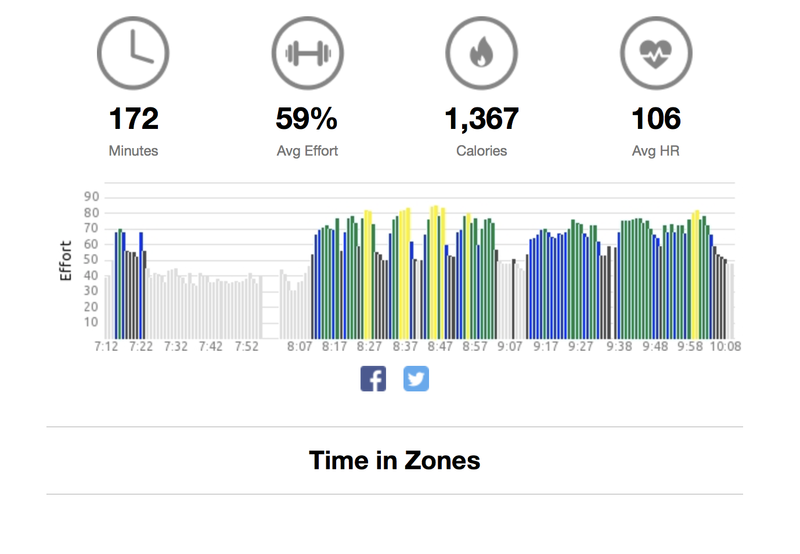 spent enough time in the 80%+ range in spin with plenty of 1-3 minute efforts. 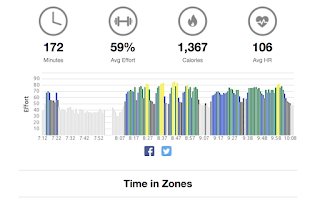 Strength class was mainly big muscle groups with some plyometrics. Tomorrow is an off day. 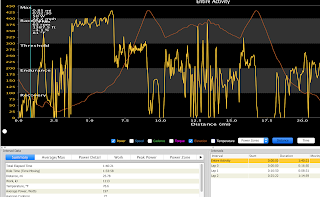 Rather than ride the Cleves time trial this evening I did this 40 minute tempo at about 290 watts average for both, or 280 and little over 300. 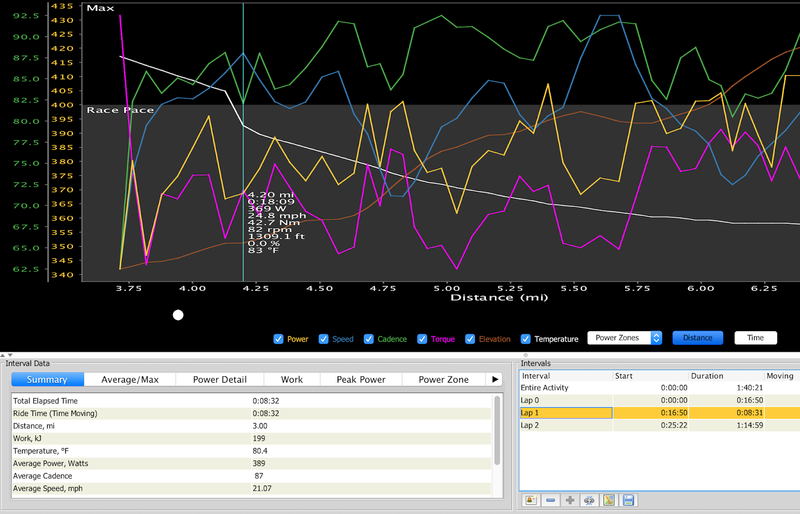 Legs pretty cooked after last nights strength class so no use doing the time trial this evening. 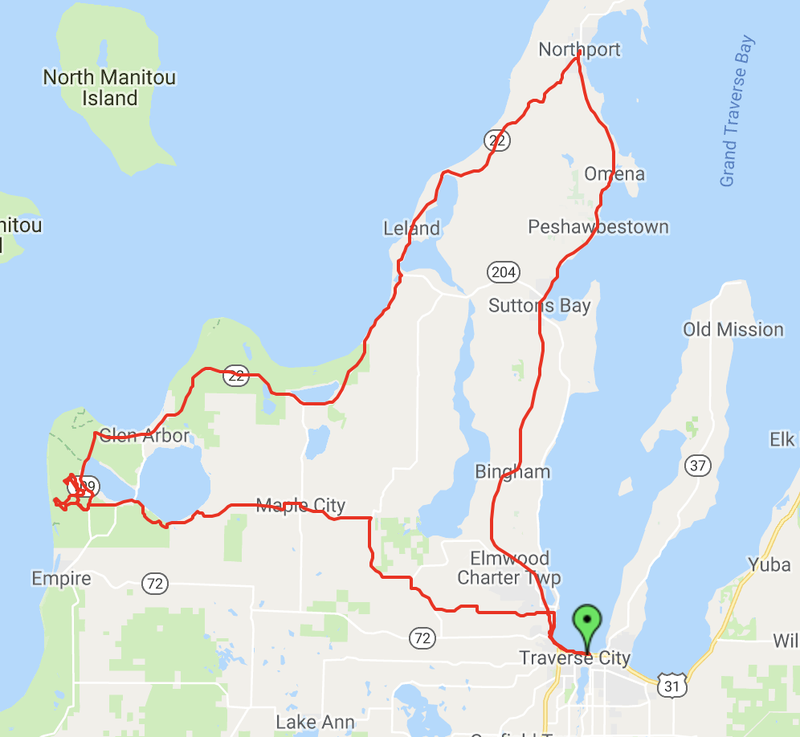 Last Friday I rode my third Michigan century fo the summer following the same course: TART Trail to Suttons Bay, then M22 to Northport, south on the same to Leland and Glen Arbor, through Sleeping Bear Dunes and then back on Leelenau County road 616 to Traverse City. Took Saturday off and then did about 50 on Sunday going around south Lake Leelenau. 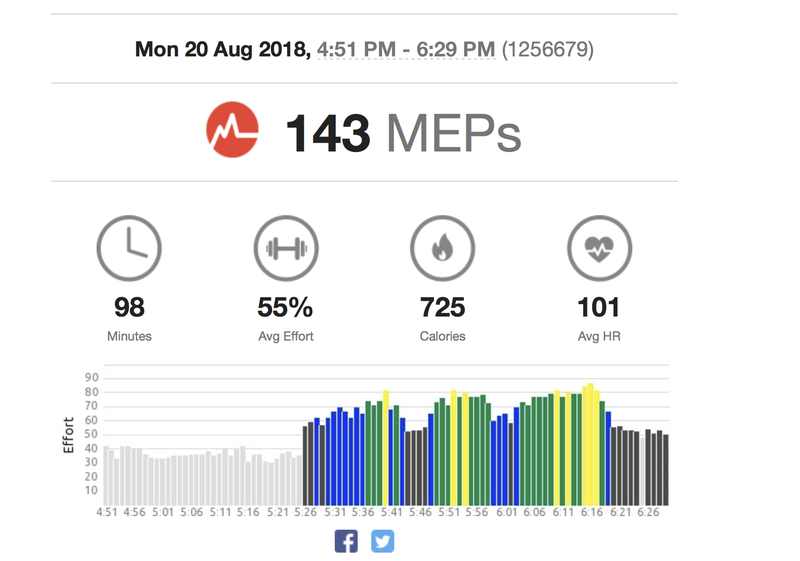 Did my strength class last night with the HR data attached. No red zone which was the goal. Lots of squats, lunges, upper body, core and some plyometrics. Will not be riding Cleves tonight but will get in some intervals on the course. 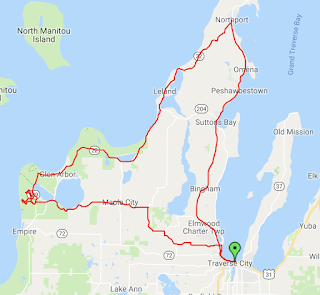 Back up in Traverse City and did a 40 mile ride up the Old Mission Peninsula and back. Nothing crazy, just taking in the sights and enjoying warm day. Kept power at 215 avg. Actually slept 9 hours last night which is unheard of for me. 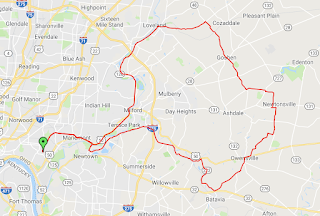 Will ride just endurance miles through weekend here and then start back with intervals next week in preparation for the KY 5k and 10K the first weekend in September. 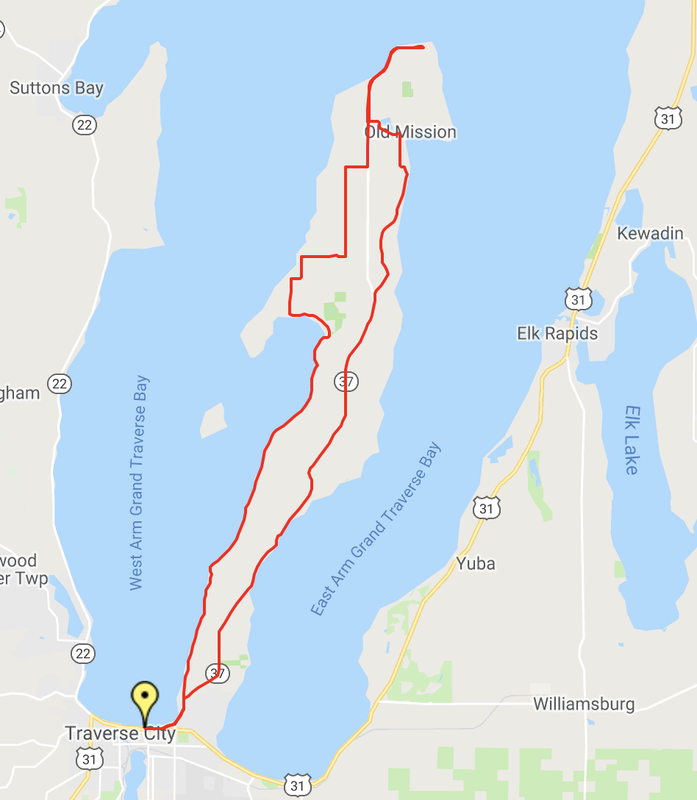 The goals so far this year have been met with the Senior Ohio, Indiana and Michigan 5k and 10k's wrapped up and the Ohio USAC 20k also in the books. Very fortunate to get the gold again today. Had the usual great competition from Michael T and Jake L. I missed breaking my record time of 6:15 by about 5 seconds. Felt like I attacked it right from the start. Took me about 45.7 seconds to go from the start to the timer on the course. From there my next two full laps were 3:04 and 3:05. 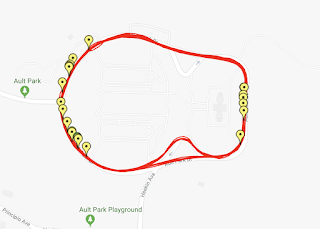 Yesterdays breakdown was 1:20 to the timer (after the downhill, further out than today), then laps of 3:05.3, 3:09.5, 3:08.7 and 3:08.7 and 3:08.8, so pretty consistent after that initial blast. Power was good today, around 380-385. 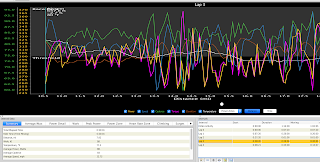 The turns out of the bars hurt that along with just a couple of non-pedalling turns, both just for a few seconds but affecting overall power in such short events. Overall, I love this venue and if they repave it for 2019 it'll be that much better. its also very well run by the MSO. 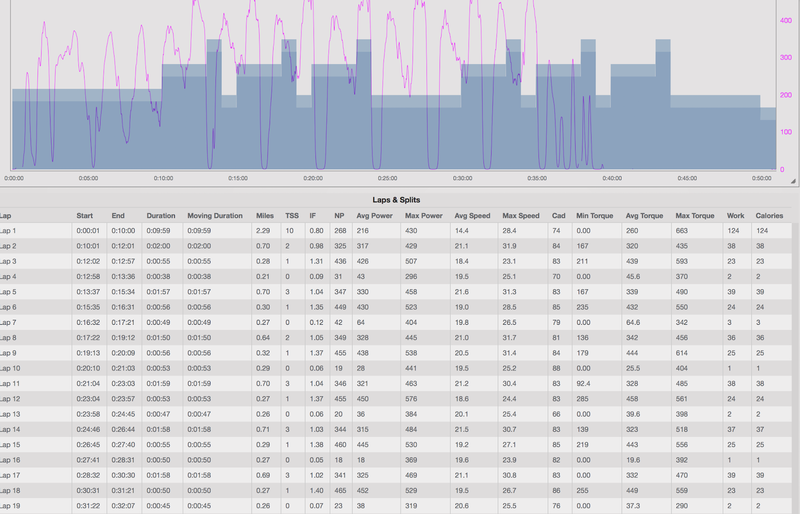 Last year rode a 14:28 and I believe faster than that the year before, maybe 14:05-10. Today, rode a course record 13:52 for the gold in the 55-59 and fastest overall. Power was lower than expected but I'm beginning to think that given my power at Cleves that the meter needs calibration. Just seems too low. 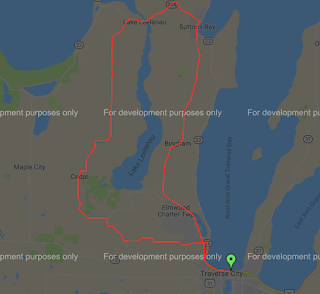 Regardless, I rode super hard and wanted to give it my best effort. Felt like I never let up. Took the turns safely. Rode the little hill smoothly and with good power each time. Some very good competition again this year. Drove home today since it was going to rain in Tennessee. Did these inside later in the afternoon. Went the full 5k and held upper 370's. 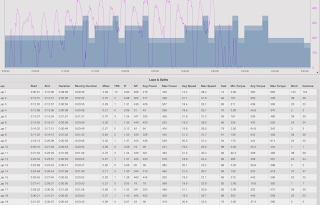 I rode solol at 5:30 in a light rain, some wind and on my slower Cervelo P2 with no disc. 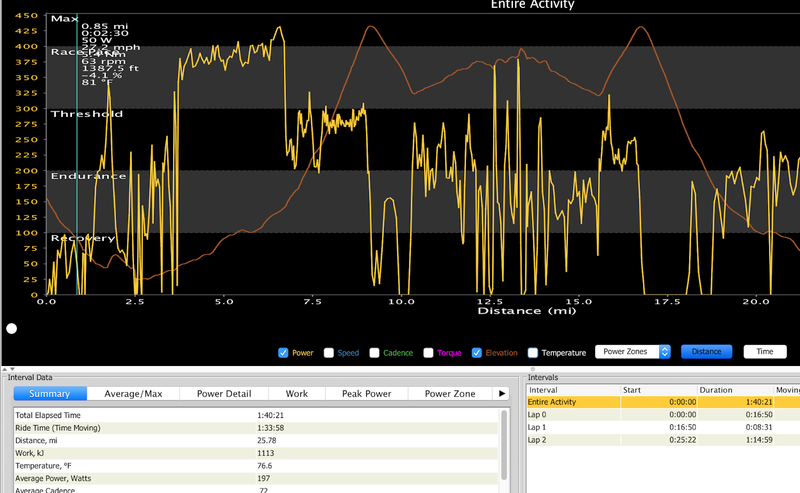 Time was slow at 23:25 but power was pretty good at 338 (340 first half, 334 second). A little tired from last nights strength class also so overall a good prep for next weeks time trials in Michigan. This was held in West Salem, Oh this morning. 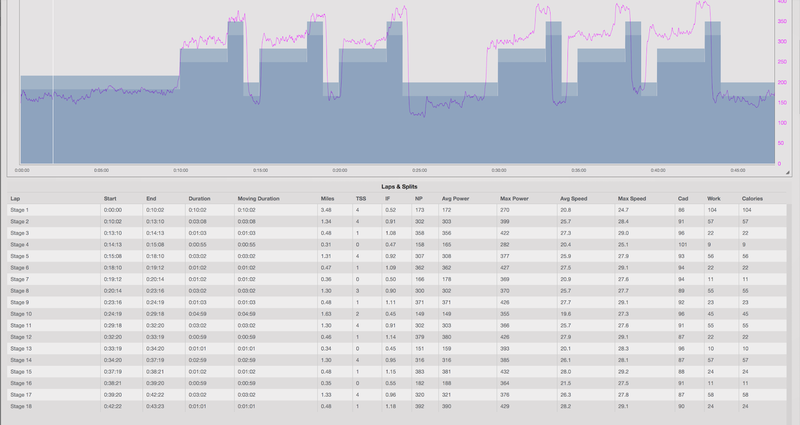 All was well to the turn where I was averaging just under 27 mph, 94 rpms and about 320 watts. Then my Di2 shifting for the rear derailleur stopped working. I rode all the back in with a 54/15. Still got the win with a 31:47 but pretty frustrating riding one gear. Not sure what the problem is but the battery is fully charged and the front is working. Oh well. 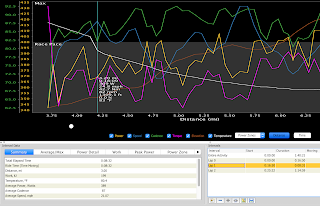 Good opportunity tow work on power and a high cadence. I was hitting 300+ at 120 near the end. All went well with power falling right in the middle at 410-414. I have some good competition on Saturday with one guy being a perennial top 3 at USAC nationals, and national champion several times.